Sluban Educational Block Toys India company brings to your child a never ending source of fun and learning. Sluban facilitates learning by providing young minds with simulative game options using a variety of building block based set of toys. 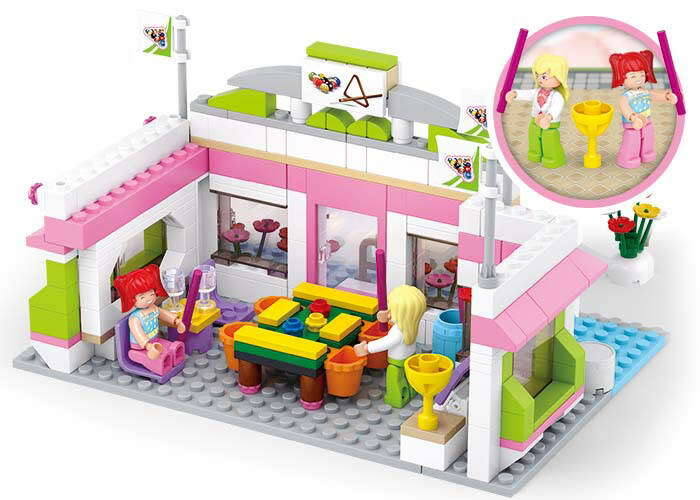 An array of options in selecting the right set of Educational Block Toys suitable for your child according to its aptitude makes Sluban Educational Block Toys India's most preferred building blocks toys company online. Sluban Educational Block Toy Snooker Club set of building block toys presented by Sluban Educational Block Toys India helps your young child to experience the joy of socialization playfully. While creating the Club from building blocks your child also develops its sociable and cognitive skills. 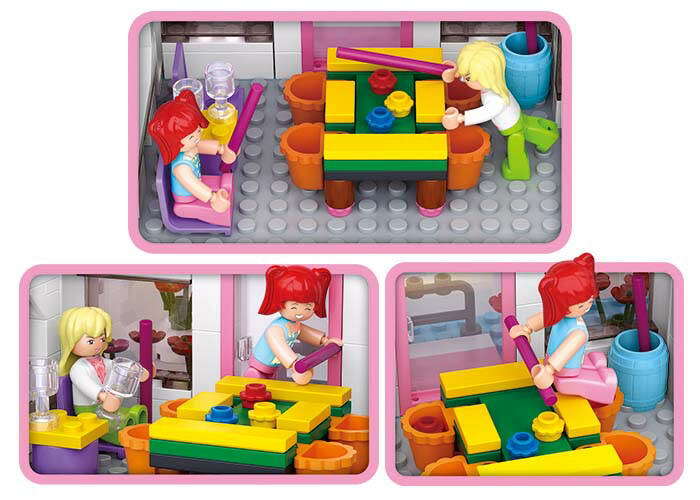 Made of non-allergic plastic material Sluban building blocks are fully safe for children. 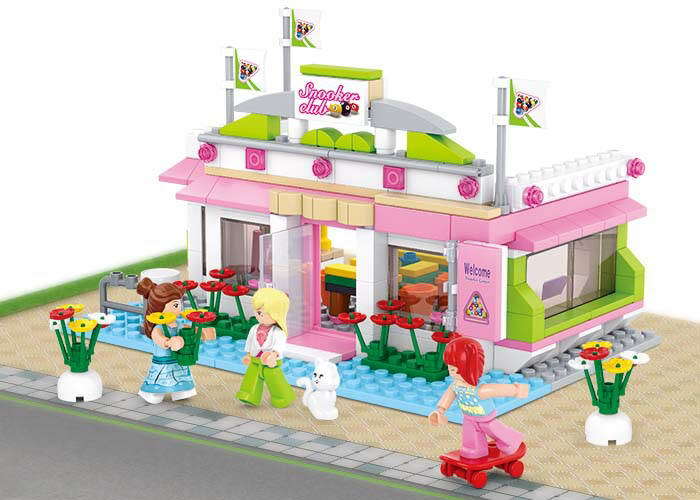 Sluban Snooker Club building block toys come under Girls Dream theme based games which are very popular among children in Europe.